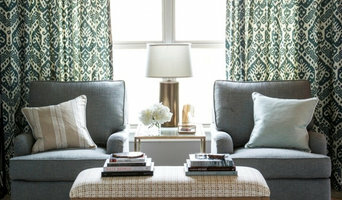 Dream Interiors is a multi-faceted design business that offers professional, award-winning interior design, a retail store, and a custom drapery workroom. *Hunter Douglas Authorized Dealer* Since 1949, Roseland Draperies has helped thousands of satisfied customers make their homes and businesses more beautiful. From stunning window treatments to luxurious custom bedding, we take pride in the fashions we have created, and the lasting relationships we have built with our clients. Roseland uses only the finest fabrics, and we have also teamed up with window covering market leaders. The combination of our high quality vendors and our skilled craftsmanship provides you with a beautiful and professional look for years to come. In addition, our buying power allows us to offer you the best possible price. Celebrating over 30 years in beautiful downtown Naperville, our studio houses thousands of samples. However, we've found that the best place to choose your fashions, is where you'll use your fashions. We'll come to you with a showroom full of samples, options and ideas! Annette Bertucci is dedicated to producing high-quality window treatments and helping you create your dream home! We will work with you to find a solution that will meet your needs. We are locally owned and currently service the the Chicago suburbs. We specialize in window treatments for your home. We bring our mobile showroom to your home to guarantee the perfect solution! Whether you're shopping for a single window treatment, redecorating your entire house or solving a complex interior design challenge, you'll find great people who have knowledge and expertise. 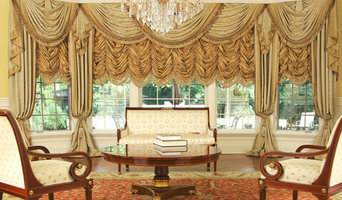 I am a skilled Drapery Professional and have been in business for over 20 years. I work closely with my clients & designers to design window treatments & bedding that fit their homes and lifestyle. Every job that I complete is unique and fits the individual home and client's personal style. I love seeing projects come together and the finished rooms when everything is complete! We go the extra distance in helping our clients select products that fit their needs, budget, and home decor. We are highly-trained experts in installation and have extensive product knowledge. Providing custom window coverings, bedding, blinds, and shutters to the Chicago area since 1992! Recent recipient of Window Fashions Design Award 2014. We look forward to hearing from you! We are a single point of contact for completing your design plan. Completing your design needs to unify your interior is our priority. Welcome to Window Expressions by Janet, a complete source for custom window treatments and accessories for your home and office. Adding finishing touches for satisfied homeowners for over 23 years. 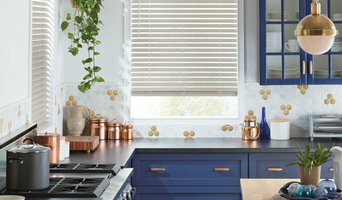 CALL OR SCHEDULE ON-LINE TO BOOK YOUR COMPLIMENTARY CONSULTATION 630.617.5362 <a rel="nofollow" target="_blank" href="https://BBBloomingdale.as.me/">https://BBBloomingdale.as.me/</a> Since its founding, we at Budget Blinds Serving Bloomingdale have proudly served the local community by offering high quality and stylish window coverings for any occasion. Our goal is simple: to provide you with the best products and services in order to enrich your home environment. Our lavish selection of window treatments includes shutters, blinds, draperies, shades and even window film. 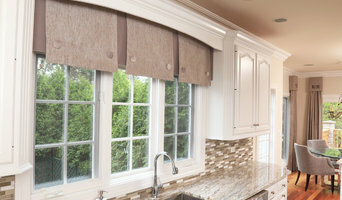 Regardless of the window’s size or shape, you can rest assured Budget Blinds Serving Bloomingdale will have a customized window coverings solution ready for you.